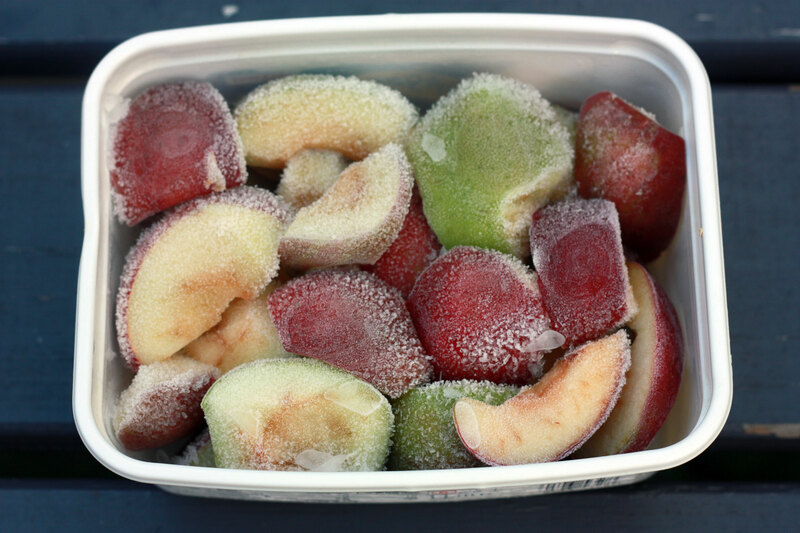 Freezing fruit enables to process it anytime out of the harvesting season. 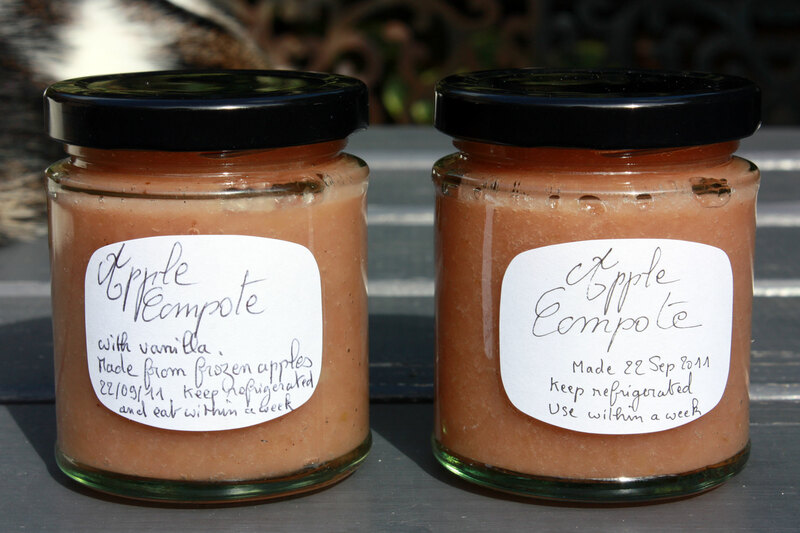 Here is what I did two years ago with frozen apples given by an Earlsfield resident. Frozen apple quarters in a pack of ice cream. Photo 22nd September 2011. The cooked apples are ready to be passed through the sieve. Photo 22nd September 2011. 220g jars, = two compote servings. 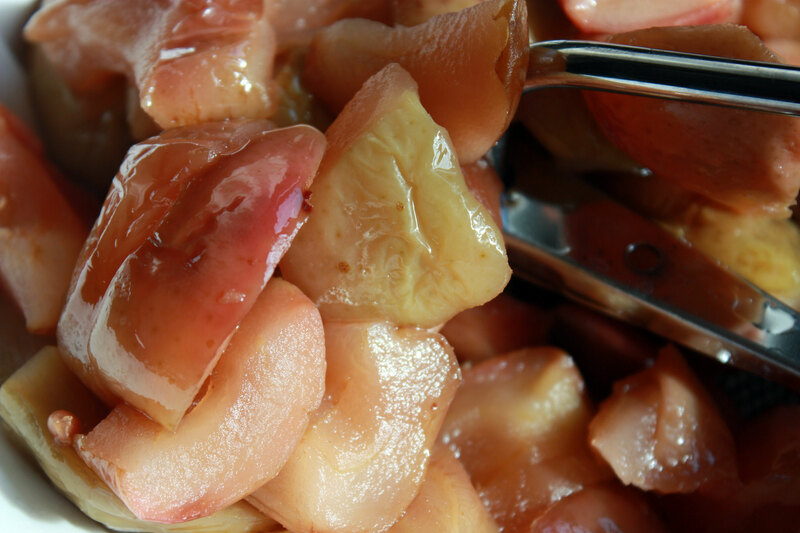 The skins, which stayed in the sieve, coloured the compote. For the anecdote, the red apples used here look like McIntosh, the cultivar after which the Apple computers were named thirty years ago, and known for the pink apple sauce they make when used unpeeled. Source: Wikipedia McIntosh (apple) page. This entry was posted in Eat and tagged Apples, Earlsfield, Southfields, UK by Les Jardins d'ici. Bookmark the permalink.